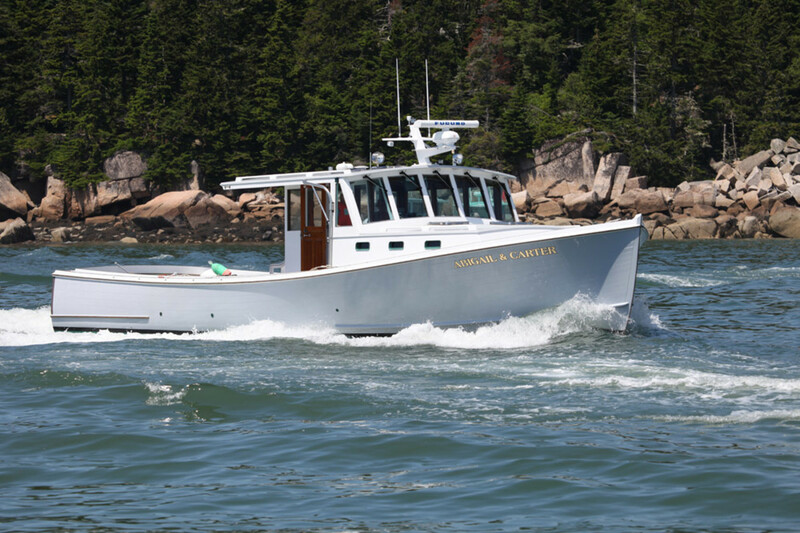 Abigail & Carter, a 43-foot gentleman’s lobsterboat from John’s Bay Boat Co.
To launch the 15th annual Castine Classic Yacht Race, the town of Castine, Maine, will celebrate iconic Maine lobsterboats — and their lobsteryacht progeny — during a symposium on July 30. Maine Coastal News editor Jon Johansen will chair the symposium, which will feature leading builders and designers. They are expected to include Calvin Beal; Mark Fitzgerald; Glenn Holland; Doug Hyland; Peter Kass; the Lowell Brothers; Robert Rich; Richard Stanley; Steve Wessel; Jock Williams; Stewart Workman; Colby Young; and lobsterman/author Linda Greenlaw. The symposium will start at 4 p.m. at the Maine Maritime Academy’s Delano Auditorium. The public is invited. Preceding the symposium, boats from these builders will be on exhibition at the Castine Town Dock from noon until 3:30 p.m. The boats will include Abigail & Carter, a 43-foot gentleman’s lobsterboat from John’s Bay Boat Co. (Peter Kass) and Fishwife, a 38-foot lobsteryacht from the John M. Williams Co. (Jock Williams). Fishwife, a 38-foot lobsteryacht from the John M. Williams Co.
Organizers said the Castine Classic Yacht Race to Camden will set sail from the Castine Harbor bell at 11:45 a.m. on July 31. The 18-mile race, which feeds into the Camden to Brooklin race and the Eggemoggin Reach Regatta, is expected to attract a fleet of Classic and Spirit of Tradition yachts, according to David Bicks, chairman of the Castine events. The race will feature as many as seven New York 32s — believed to be the largest fleet of these yachts to race together in more than 50 years. 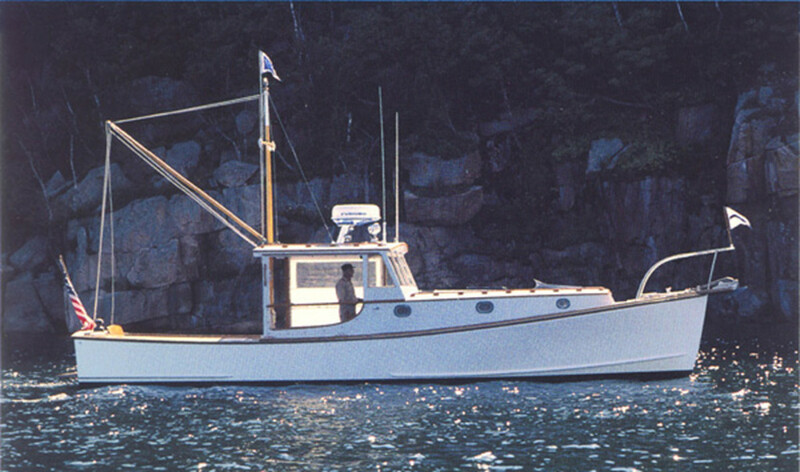 The celebrated 45-foot racer/cruisers were designed by Olin Stephens and built in 1936 as a New York Yacht Club class. The race notice and sailing instructions are available at www.castineyachtclub.org.